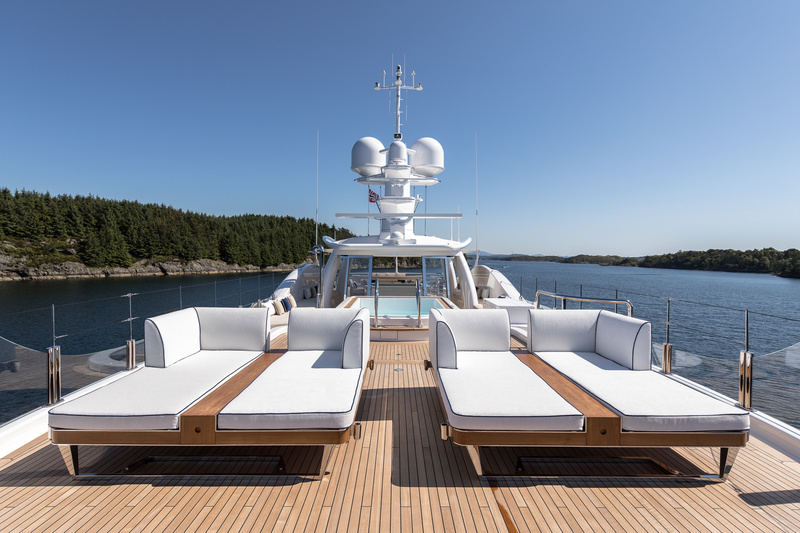 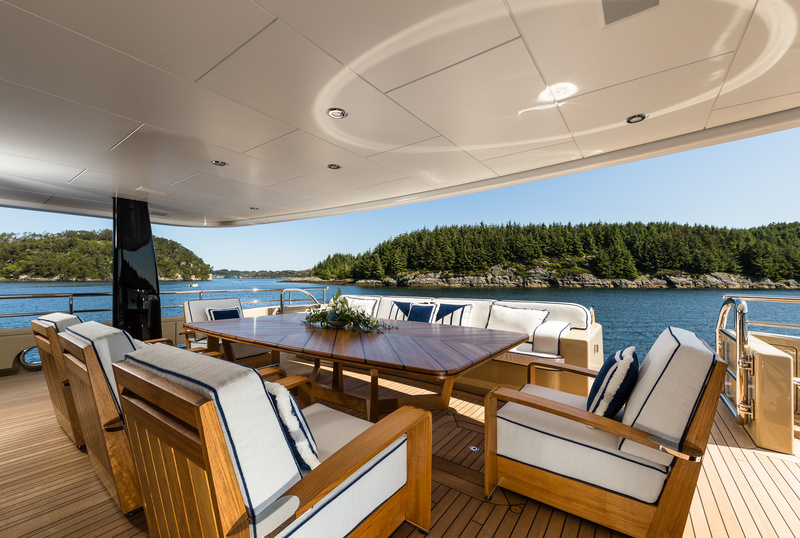 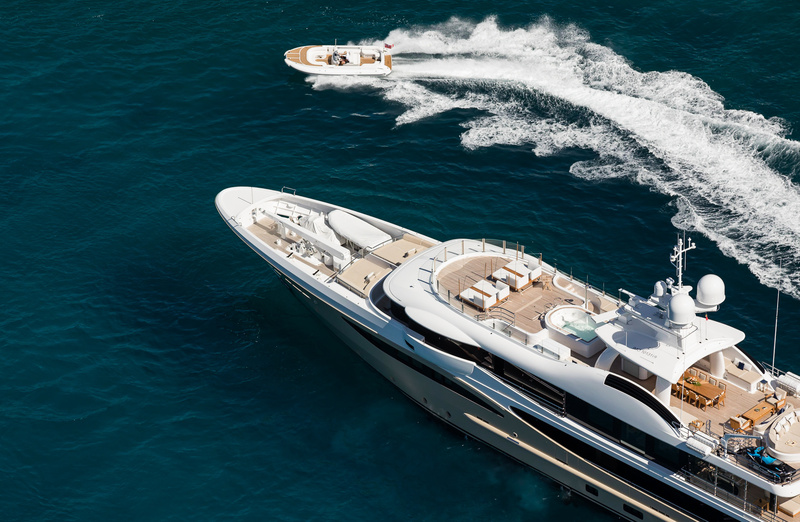 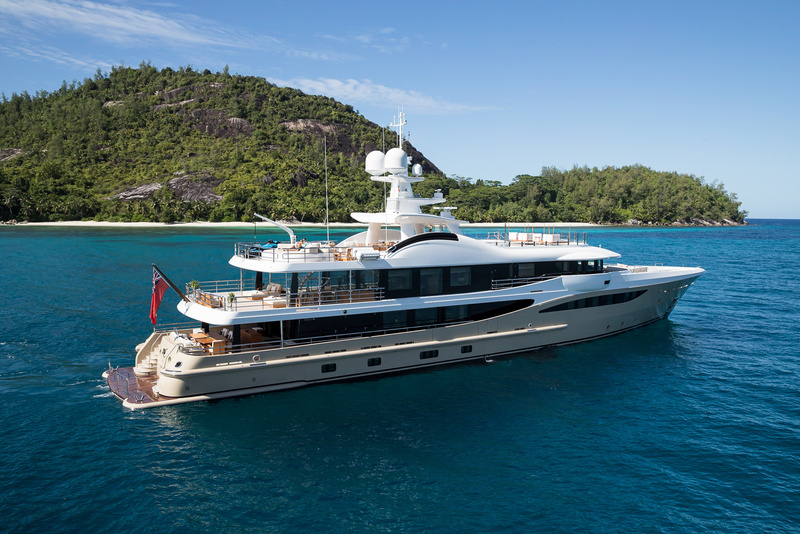 At 55-metres (180'5"ft) long, Lili is ideally balanced in a number of ways. 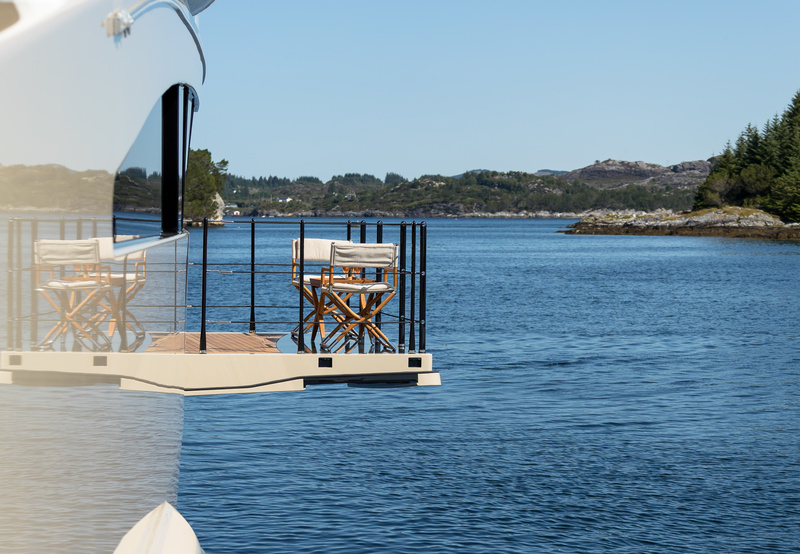 Her size bracket provides space for more than enough in the way of entertainment, yet she doesn’t shy from the shallows. 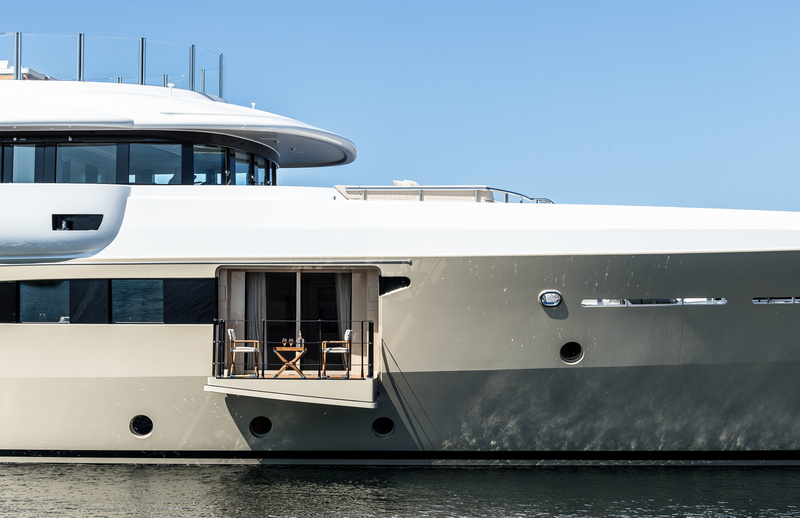 While Tim Heywood Design was responsible for the model’s iconic exterior design; Sessa - appointed by Imperial Yachts - has created a similar success story on the inside. 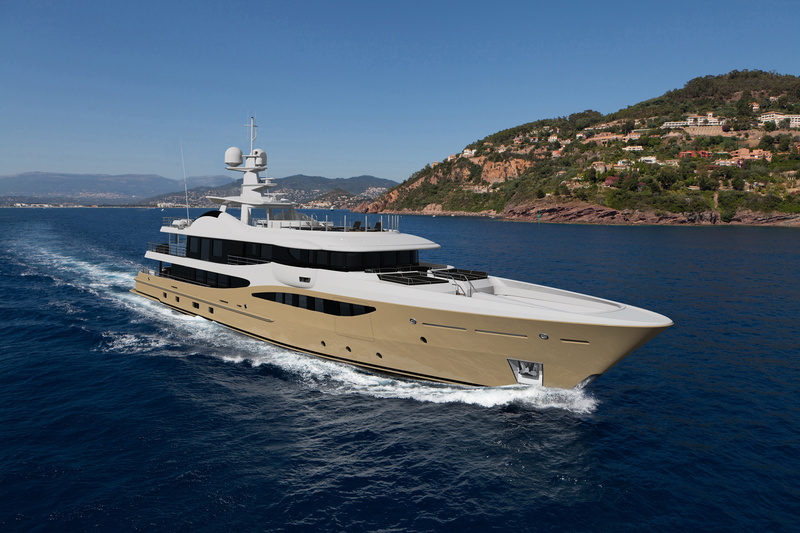 Lili’s creamy hull is not only a reflected in her name, but also in Sessa’s choice of a rich palate. 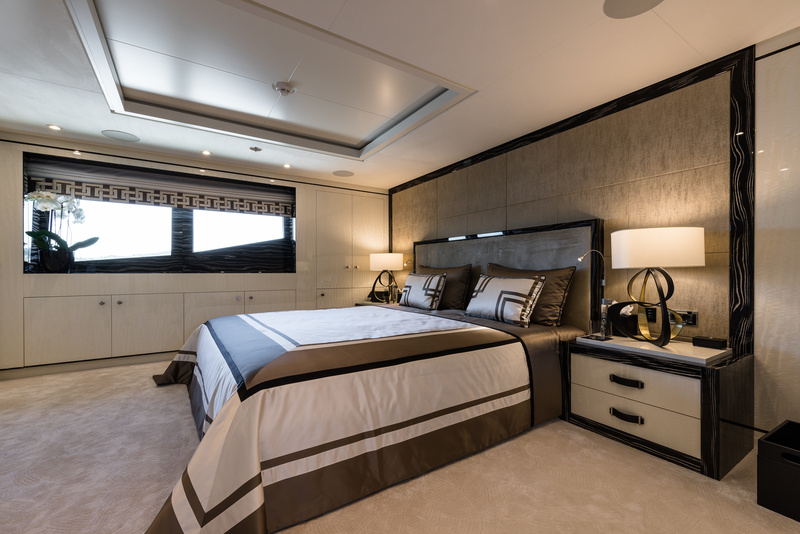 Velvety hues run deep, with soft golds and oozy caramel creating the base hues for a tranquil charter environment. 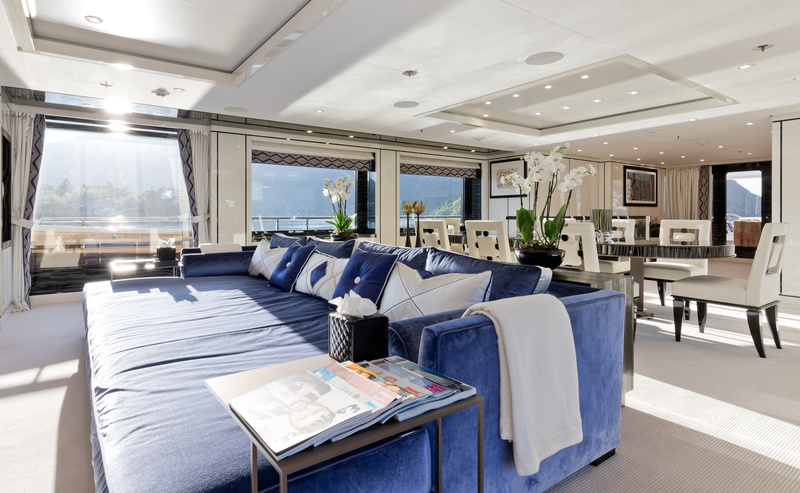 But it’s not just the colours that create Zen. 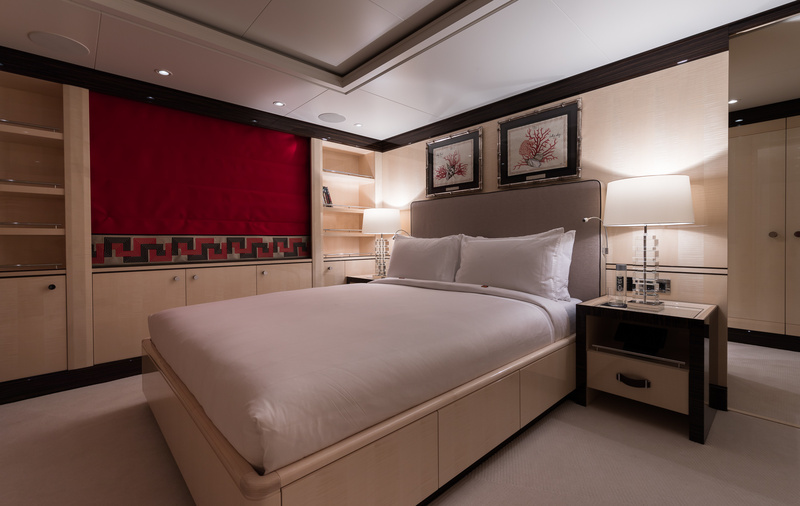 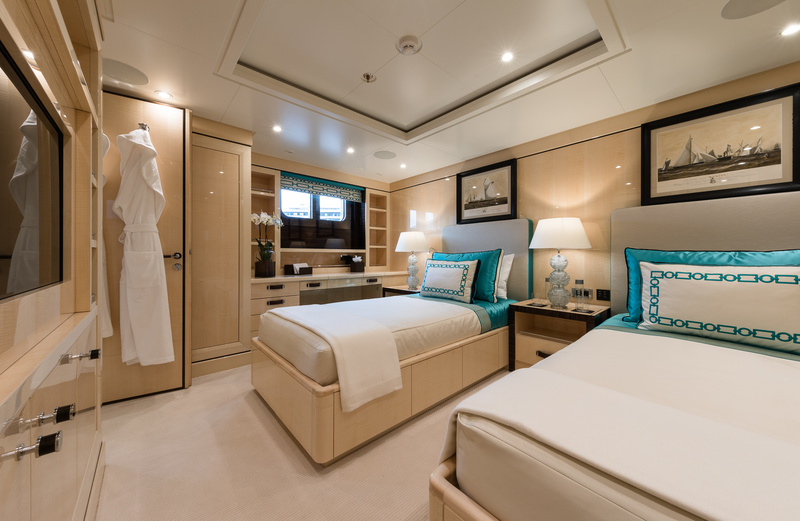 Textures are the basis of Lili’s opulence, with delicate embellishments and luxurious quilting creating the subtle regal touches that charter guests are more than used to. 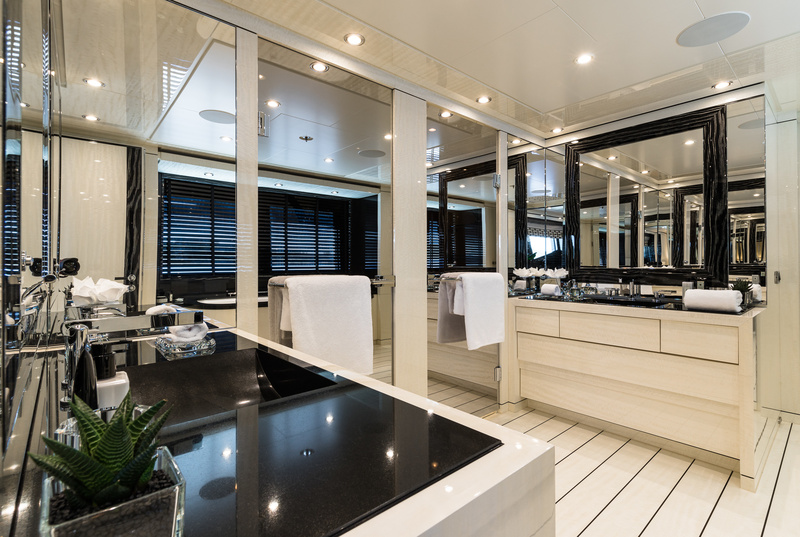 In fact, everything on board seems as though it’s in place for a sensory experience; from the patterned wall panelling to flashes of abstract art and of course, neutral carpets as a welcome sanctuary for sandy toes. 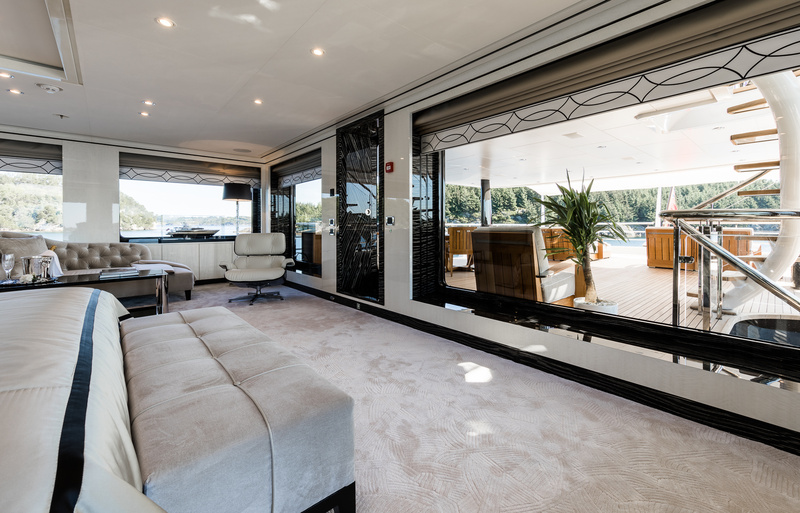 However, you’re never too far away from the open air, with fold out balcony’s providing the ultimate seascape; a place to feel at one with the world. 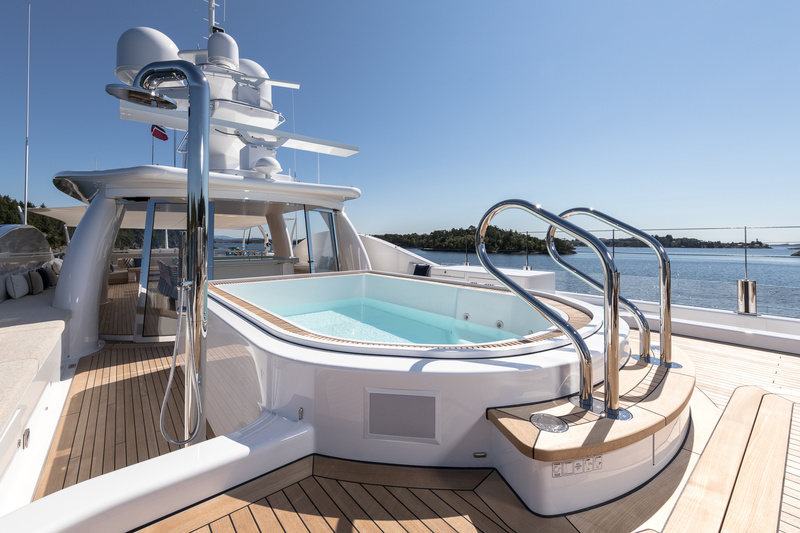 Nevertheless, it’s out on the sun deck where Sessa’s inspiration really enhances Lili’s unusual cruising grounds. 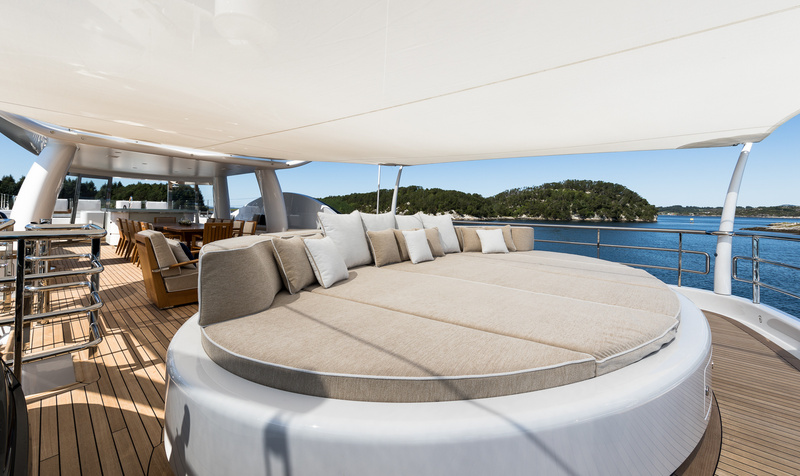 Oversized sun-pads dripping with cushions provide unrivalled spots for taking in the view, while tasteful trinkets of travel decorate the al-fresco space. 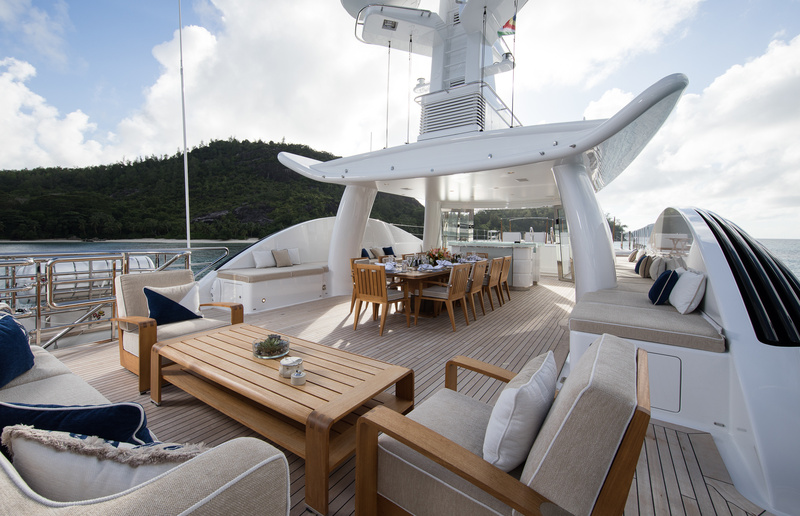 Bringing nature on board, Lili’s collection of conch shells and miniature palms line the teak with effortless appeal, literally bringing the elements in. 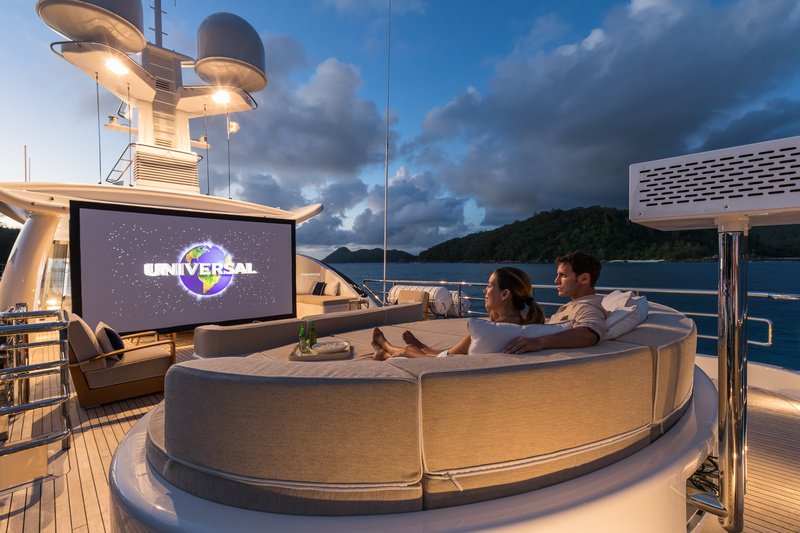 When day turns to night, there’s an outdoor cinema to ensure every minute can be spent out in the open. 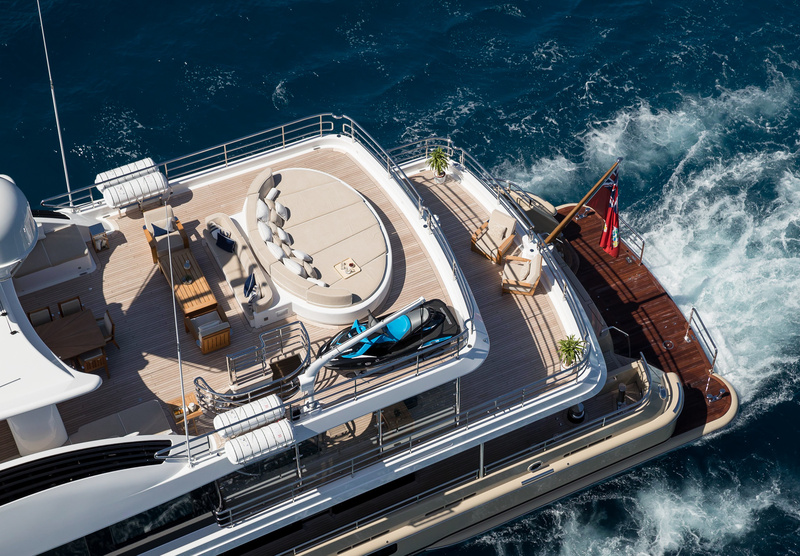 In fact, there isn’t anything on board this Amel’s creation that doesn’t echo the great outdoors. 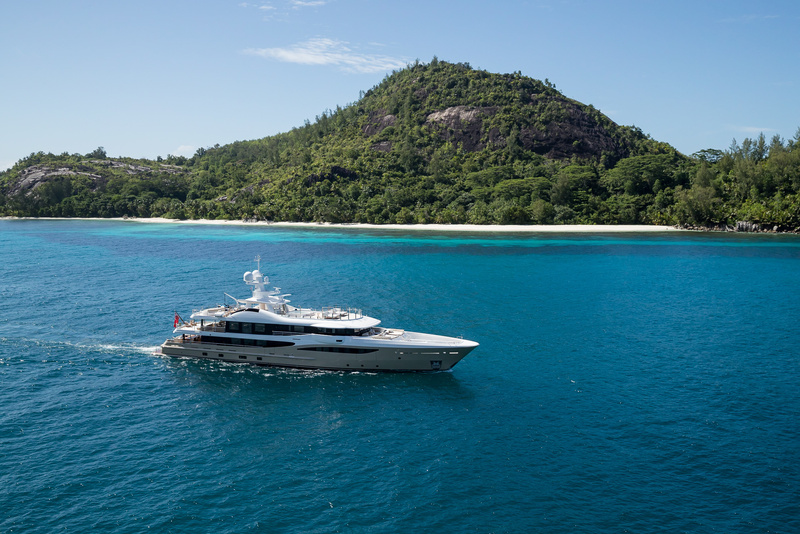 On the charter market with Imperial Yachts, Lili is spending the winter discovering Thailand and the Indian Ocean before heading to the Eastern Med. 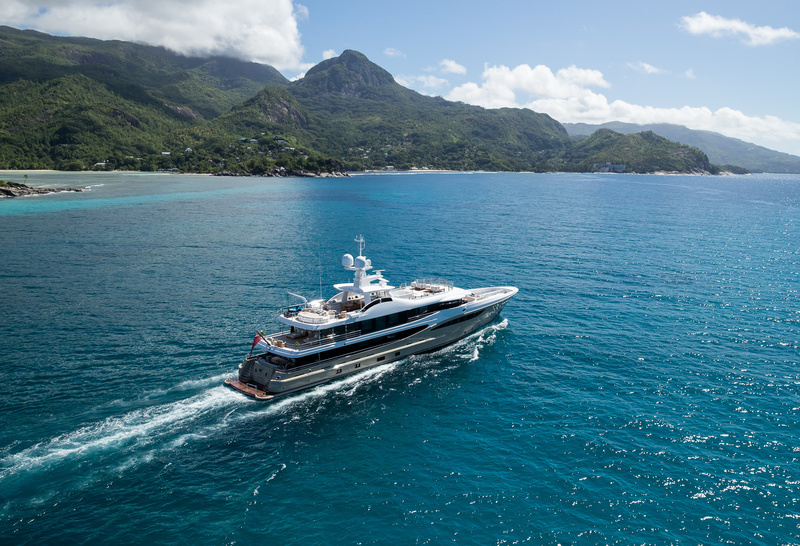 Her 13 crew are more than ready to provide adventures into waters less travelled, with the help of Lili’s gentle surroundings. 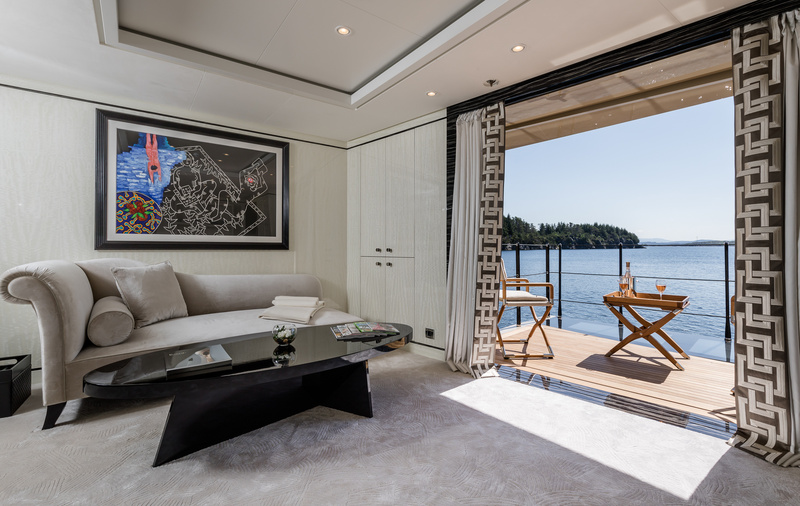 We also look forward to welcoming future winning projects between the brokerage and designer.